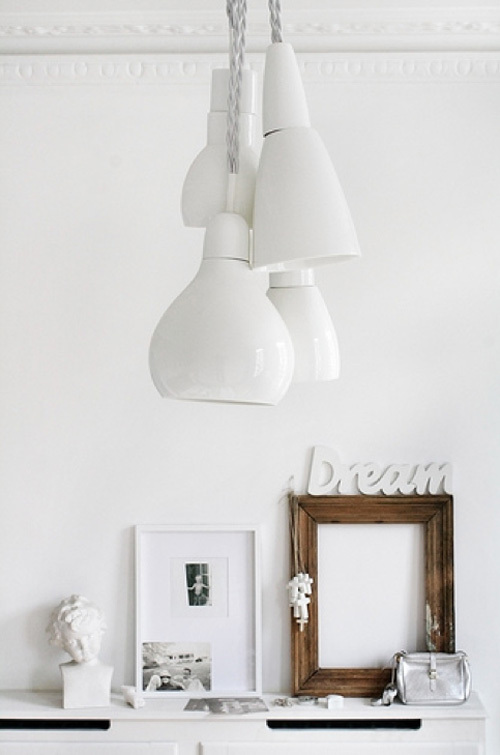 Today I’m loving … these cluster lights by Kathleen Hills. The image is from Karine’s bedroom. This is very on trend now. I use it regularly. Clusters are great in clean line interiors because it offers a slight “messiness” to a room without junking it up. so innovative, this is eye-catching!!! The same one – in glossy black – is hanging above our kitchen table. Love it! Lights are lovely but I want to know where the little cluster of white crosses (in the background) came from. Please share! Your blog is really inspirational! !